2020 Dreams Anxiety and OCD Workshops focus on two conditions that often have their roots in childhood and can lead to lifelong psychological problems unless tackled early. As part of the natural ‘fight or flight’ response, anxiety can actually enhance performance by increasing focus and blood supply, for example during exam time. However, some children and teenagers are plagued by anxiety for longer than normal or experience more severe reactions that have a detrimental Dreams on their performance (e.g. nausea, headaches, trembling, paranoid thoughts). By learning to recognise and control their symptoms of anxiety, young people can lead more rewarding and comfortable lives while still achieving good grades. This is what a 2020 Dreams Anxiety and OCD Workshop can deliver for your school or institution. 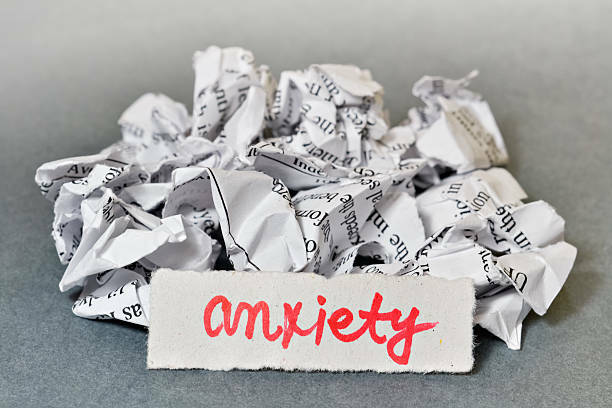 Anxiety is a significant component of Obsessive-Compulsive Disorder (OCD), a disorder which often begins at a young age, sometimes as early as seven or eight year’s of age. Boys in particular are susceptible to developing OCD during their school years. Children and teenagers with OCD have learnt to control feelings of anxiety by performing certain behaviours but become dependent on these ritualistic actions which can significantly impact on their school and home life. For example, a child who is obsessed with order may not be able to start their homework until their environment is perfectly arranged, spending more time on their organising compulsion than on the work. OCD can affect punctuality, performance, relationship-building and overall life enjoyment. As the example above illustrates, OCD requires both one or more obsessions (accidents, contamination, forbidden thoughts) and associated compulsions (checking, hand-washing, mental rituals). 2020 Dreams Anxiety and OCD Workshops help young people to understand the physical and psychological characteristics of these conditions, how to recognise their symptoms in the self and others and how best to tackle them. Many children and teenagers suffer with anxiety disorders or OCD without realising that help is available to them. Others fail to access help because they are worried that they won’t be taken seriously or that their obsessions are too disturbing. 2020 Dreams Anxiety and OCD Workshops help to raise awareness through powerful and proven teaching techniques including scenario-based role-plays and open forum discussions led by the young people themselves. By becoming aware of the psychological and physical symptoms that accompany anxiety and OCD, young people will be more likely to recognise their occurrence, whether in themselves or in their peers. To cement their understanding, participants will take part in various role-plays in which common scenarios involving anxious or compulsive behaviour will be acted out and young people encouraged to provide appropriate support. Children’s own experiences, opinions, questions and ideas about anxiety and OCD can then be fully explored in facilitated discussion groups. 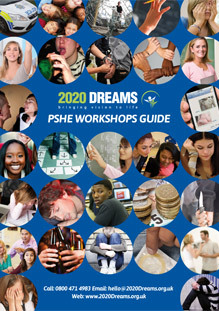 As industry leaders in the provision of high quality educational workshops, 2020 Dreams are the first choice PSHE workshop provider for many UK schools, young people’s charities, PRUs, Young Offender Institutions and other youth establishments. We have also provided courses for national bodies such as the BBC and Prince’s Trust. Our experienced and well-trained facilitators are skilled at engaging with young people of all ages and course content will be carefully tailored depending on the age range of those present. We are happy to create customised workshops where necessary; just contact us in advance. 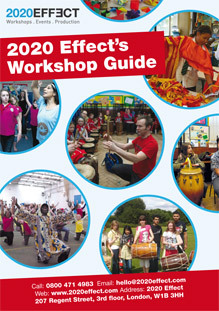 To book a workshop with 2020 Dreams or to find out more about our courses including the range of PSHE issues we cover we invite you to call us for free on 0800 471 4983 or email hello@2020Dreams.org.uk.